White flight and snobbery are behind changes in the roll at Palmerston North’s Monrad Intermediate, the school’s departing principal says. John Forsyth began teaching in 1970, and started at Monrad in 1992, 25 years ago. He retired this week. He’s proud of his school and his students, but frustrated by divisive undercurrents he says have influenced who enrols. 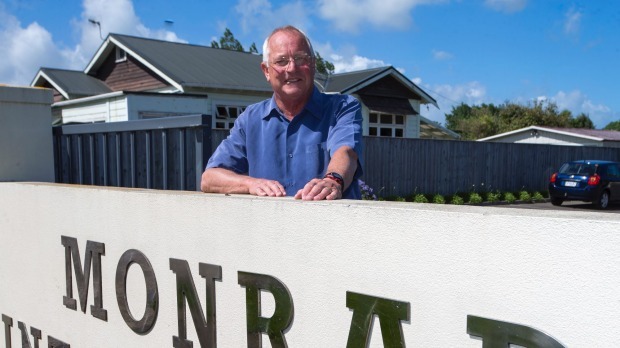 “Pakeha children have dropped from about 60 per cent to about 25 per cent now. The percentage of Maori children has gone from 25 per cent when I started to 60 per cent now. Forsyth kept in touch with parents whose older children went to Monrad but younger children went to higher-decile schools. Most were evasive about why they changed, but some said outright they didn’t want their children “rubbing their shoulders” with so many “brown children”. Some of the language used by parents in those conversations has been blatantly offensive. It leaves him bemused, confused and sad. The school embraces the variety of ethnicities as a strength. Monday afternoons are rich in Pacific Island content. Students in a bilingual te reo and English unit are already achieving at NCEA levels in te reo. The school has a haka and whole school kapa haka sessions, and its Nga Iti Rearea kapa haka team is prizewinning. “I know that any child who will be through here gets a really well-rounded education, and they go on to be very successful after they leave here. The reward for 25 years of hard slog was seeing teachers enjoying their jobs and doing them well, and comments from former pupils. Some came up to him in the street to say they enjoyed their time at Monrad, and that it set them up well for life.